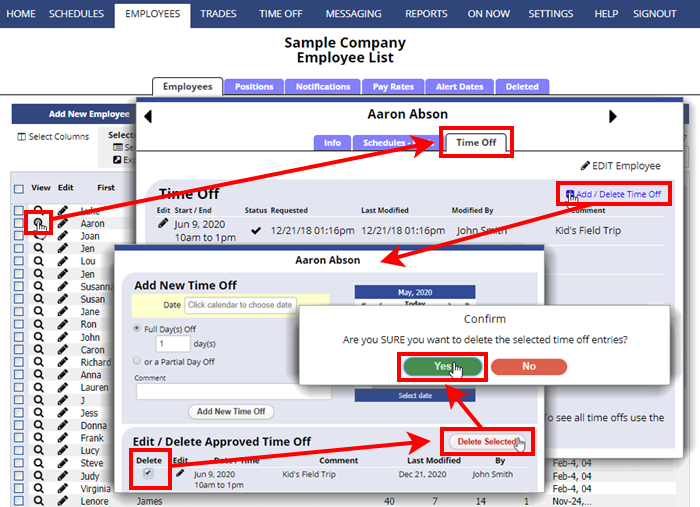 Approved Time Off can be edited or deleted by a manager (with permission). 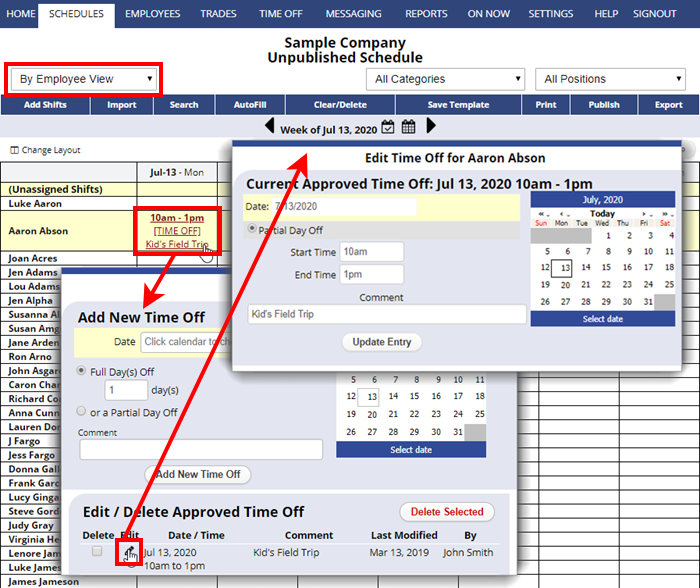 Time off requests that are pending approval can also be cancelled by the employee. Once approved or denied, a manager much edit or delete the entry. 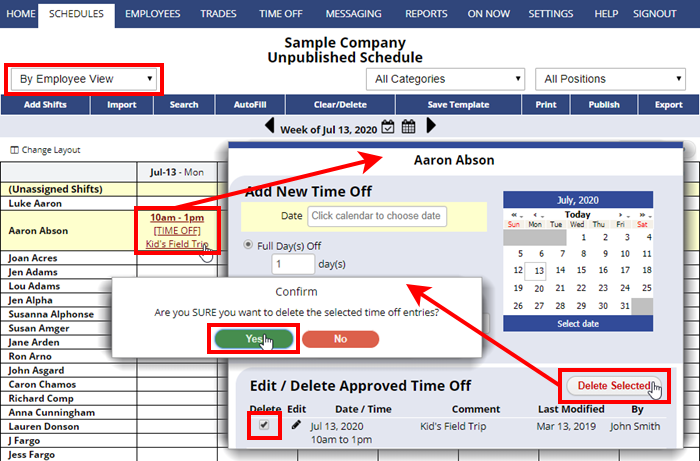 You also can edit/delete Time Offs from the individual Employee’s Details page, Time Off tab.